Do you or your kids love to play video games, especially ones with bulky add-ons, like with Rock Band, Guitar Here, and Wii? If so, you may be struggling to figure out where to store all this electronic equipment, where it is still handy to use and play with, but out of the way the rest of the time. That is where this ottoman, with built in storage, comes in handy. 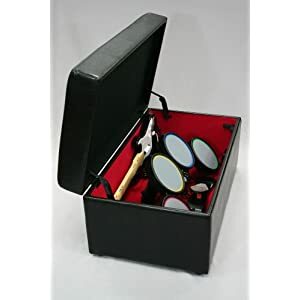 It is an attractive piece of furniture for your living or family room, or wherever else your gaming system is set up, and is designed specifically to fit lots of gaming stuff into it, including the guitar and drum set of some of these more popular gaming systems. Even if you don't play video games in your home, this can still be a great piece. Who says you have to store video gaming equipment in it? It will fit lots of different things in it, and its length and depth make it very useful for all kinds of storage. 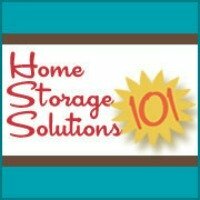 You can see even more home storage solutions and organizer product recommendations and ideas.